At AayurMed, quality is a way of life. 'No compromise in quality' is a mantra drilled into every employee, everyday. The controls start from cultivation and continue through all processes till delivery to the customer, ensuring best quality and potency. AayurMed's unparalleled quality control methods utilize well laid norms, knowledge and technical expertise by our growers, collectors, operators, and warehousing & production personnel. Every effort is backed by scientific analysis and record keeping / documentation. 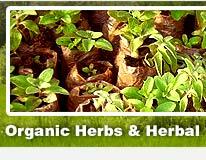 Specification Sheets, Certificates of Analysis, and Material Safety Data Sheets are provided for every botanical. We do not irradiate our products. Our products are free from sterilizers. All our products are naturally dried in shade. Our own farm and most of the farms we source from are certified 100% Organic by accredited third party certifying agencies under the norms of NOP of USDA, European Commission Regulation (EEC) 834/2007 and Regulation (EC) 1235/2008 and NPOP of India. Our first choice is certified organic. Where this is not possible we choose cultivations or ethical wild harvesting sources that do not use chemical fertilisers or pesticides, take precaution to eliminate possibilities of contamination and preserve natural diversity and balance. It is our wish that some day in near future we will deal only with certified organic materials and products. 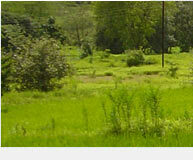 The processing facilities of AayurMed as well as its associates and vendors follow GMP norms and are certified. AayurMed uses independent, third party accredited laboratories to test product quality. This testing starts with the arrival of the, raw material and follows through to the finished, processed product. This helps meet strict specification standards and provide our customers with guaranteed quality botanicals. Almost all the materials and products offered by AayurMed are not more than one year old from its harvest and have a residual shelf life of at least one year.